Many people complain that one of the most dehumanizing aspects of a hospital stay is wearing a standard open back patient gown. Then there is the lovely paper gown provided by some clinics that somehow makes the dehumanizing open back material gown seem modest. These types of problems in healthcare often inspire nurses to become nurse inventors. Can you tell us your wife’s story and how ECT Solutions, LLC (dba Peak Textiles) was born? Coming from a family with a tradition in medicine it was only natural for my wife to want to heal the sick. Born in New York City, Chantale grew up in Haiti. In 1985 she moved back to the United States and obtained her BSN in nursing, specializing in Critical Care. In 2004, I suffered a heart attack and underwent triple bypass surgery. Years of patient care experience in the Intensive Care Unit prepared Chantale for the clinical eventualities during my slow recovery. But the one thing that she was not expecting was the incessant complaints from me about the embarrassing hospital gown that I was forced to wear. In her career, Chantale had seen advances and innovations made to all types of medical products, but as she listened to me, it dawned on her that the traditional patient gown had changed very little. My modesty complaints, combined with her own frustrations as a health care professional providing bed side care, inspired her to develop a prototype for a new patient gown..
With limited time and resources, we teamed up and formed ECT Solutions, LLC. We filed and were awarded U.S. Patent on my gown. In 2005, the company had a product and a vision, but no experience taking a product to market. We’ve been blessed to have found support in diversity programs and was encouraged to keep moving forward. Despite the many challenges, we remained enthusiastic and believed in her innovative, US patented product. With continued perseverance we were able to find the right partners and established Peak Textiles to manufacture and distribute the ECT gown. 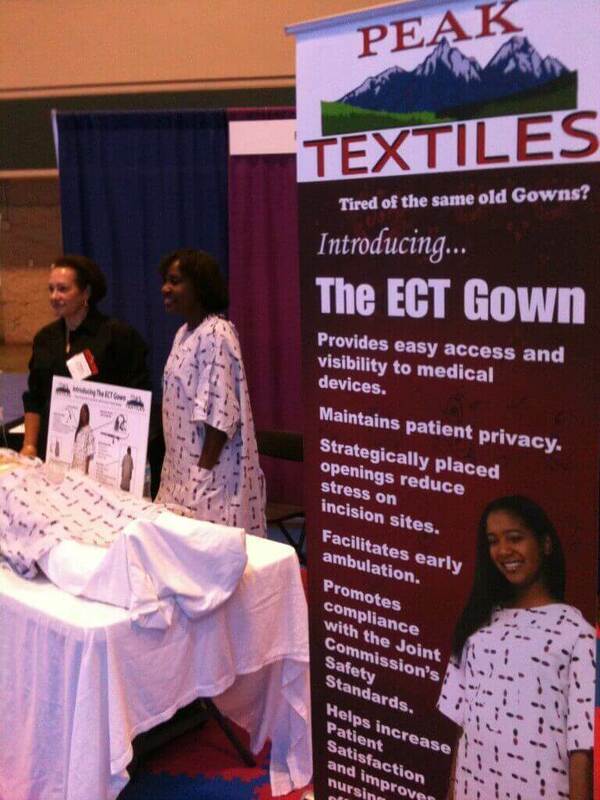 The ECT gown is currently in use in over 50 hospitals nationwide and continues to grow! In what way do you and your wife work as a team in business? I operate the day to day activities of Peak Textiles while my wife still works as a Nurse. She is employed via a Nursing agency rather then staff thus allowing her to make her own work schedule. Chantale is called upon when we need to make a clinical presentation to the hospital’s Nurse Leadership Team and/or Value Analysis Committees. What has been the most effective marketing strategy for the ECT patient gown? The most effective marketing strategy has been exposure. Once we can find an opportunity to have nurses and their leadership take a look at the clinical features and benefits of our ECT gown, they quickly recognize the advantage when compared to the standard IV Gown. We use social media such as Linked-In to reach these professionals in hope they will take a few minutes to visit our web site. Another effective strategy we use are the Healthcare trade shows. Many of these events attract clinicians and others who can make the decision in having a product such as ours considered. Is your business focused on bringing other nurse inventor’s products to market? Or, does your focus remain on your own business product? 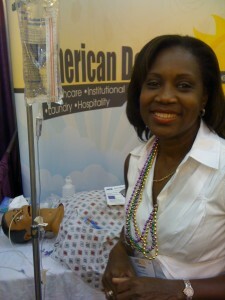 I love doing what I do and I am open to helping others market a product they feel will benefit the Healthcare industry. I’ve been blessed in having help along the way. Although I’ve been focused on marketing our ECT gown, there is always interest in taking a look at other inventions and coaching those interested. Have passion and show it when speaking and/or presenting your product or services. Entrepreneurs need to realize that relationship building is 90% of marketing provided the product and/or services is good. People tend to want to do business with those they feel comfortable with. Make Friends!